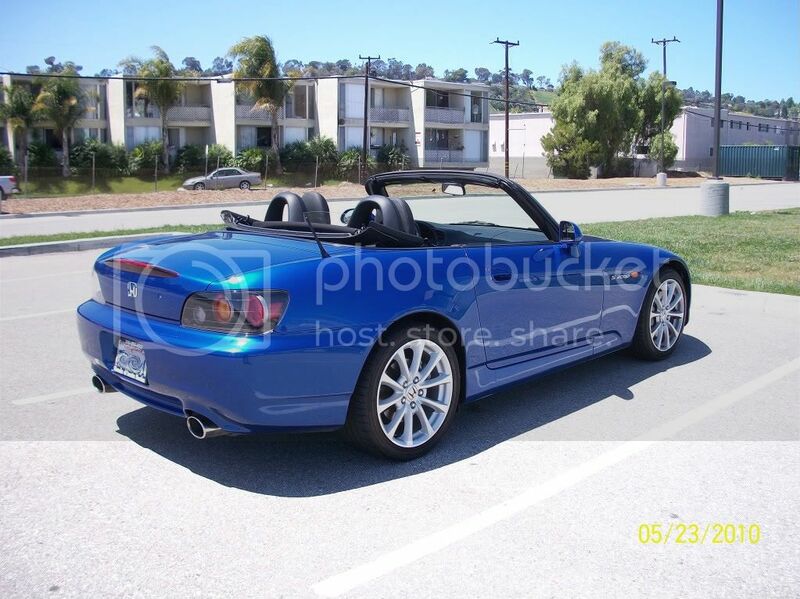 Back in May of 2010, I purchased a used 2007 Honda S2000 in Laguna Blue Pearl. The S2000 had always been sort of a dream car for me, and I had vowed to some day own one, even if I had to buy it used. After graduating from college and finishing an internship in Taiwan, I had returned home and begun working, saving every last penny I could on a down payment for an S2000. 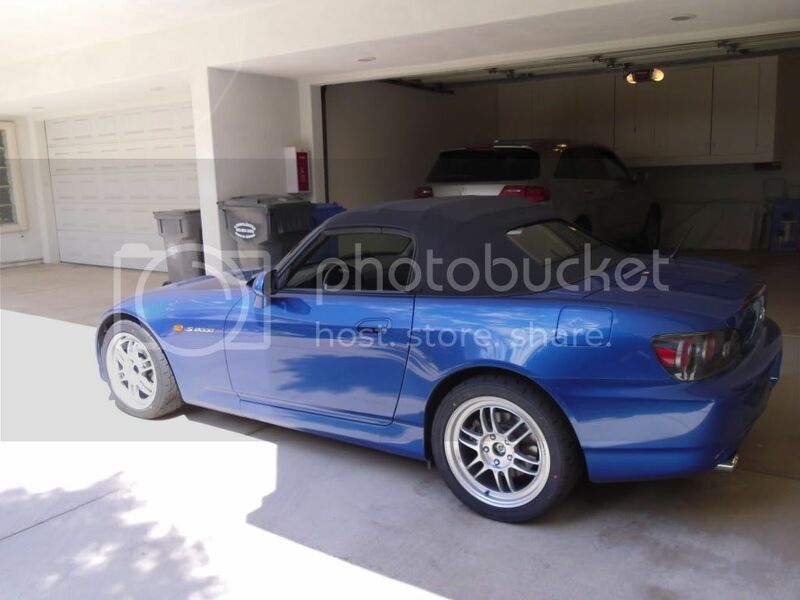 When I had finally saved up enough money, the hunt for my S2000 began, and led me to this blue beauty you see here. I went to Santa Monica Honda in Santa Monica, CA to look at the car and there was a Berlina Black of the same year was also being sold. Both cars had roughly the same amount of miles and were selling for the same price. While I like the Berlina Black, the Laguna Blue simply called out to me. I also did not want the responsibility of taking care of a black car, especially after hearing various horror stories about it. One week later, I came back to sign the papers for the car that I currently still drive. Probably the biggest mistake I made with this car was not learning how to properly drive a manual transmission before buying it. I had a little bit of experience with manuals from driving a friend's 2006 Honda Civic Si, but having never really driven a manual on a daily basis made learning to drive manual on the S2000 an interesting experience. I had read online that learning to drive manual on an S2000 was a lousy idea due to the somewhat unforgiving nature of the S2000's Aisin sourced six speed manual, as well as the weight of the clutch. Since this was going to end up as my daily driver, I was determined to learn anyway. Within a week, I had more or less gotten driving manual down pat, and I was able to do this all without destroying the clutch, the synchros, or the transmission itself. My first real test of the car's performance came during December of the same year I purchased the car, when my brother came home for the holidays. Since our parents decided to ditch us at home and go to Taiwan, we decided to head up to Glendora Mountain Road, my brother's old stomping grounds when he was in college, and cruise in my S2000 and his rented Suzuki GSX-R750. 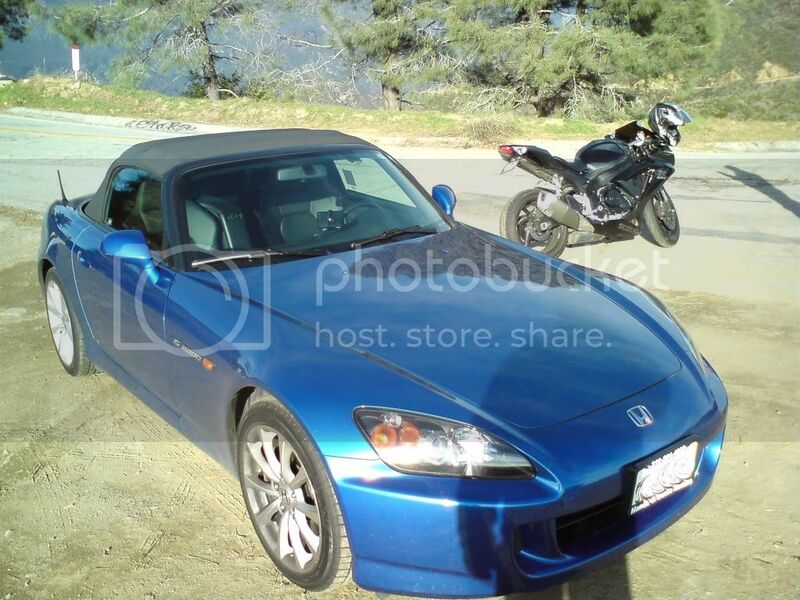 The S2000 handled Glendora's numerous curves like a champ. Never once did I feel like the car was going to lose control or felt any lack of confidence when going through a corner. After all, cornering is the S2000's strong suit. What surprised me the most about the S2000 though were its brakes. My first trip up to Glendora Mountain Road happened in our now departed 2008 Acura TL Type-S. Despite the TL Type-S having four piston Brembo brakes up front, by the time I was through with one pass, the brakes had already faded to the point where I nearly had to have the brake pedal to the floor to stop the car. The S2000, on the other hand, continued to stop the car like a champ after our first run. Granted, this may have had a lot to do with the fact that the S2000 weighs far less than the TL Type-S, but my past experience with Honda and Acura vehicles have given me the impression that the brakes really need work. The S2000 was clearly an exception. Around August of 2011, I was nearly side swiped on my way to work. Some idiot apparently realized at the last minute they needed to turn into the gas station next to me, and cut into my lane, forcing me to veer right to dodge them. While I was able to dodge the other driver, my right wheels ended up scraping against the fire lane, leaving nice, red colored scratches and streaks on my passenger side wheels. Naturally, I was pretty pissed off, but since the other driver did not make contact with my car, there really was not anything I could do. The severely scratched passenger side wheels prompted me to start looking for replacement wheels. I had originally thought about getting the gun metal, 5 spoke wheels from the 2008 and 2009 S2000 CR, but I simply could not find a decent set. Wet roads and the paltry amount of tread remaining in my rear tires prompted me to speed up my search and get a new set of tires as well. I ended up heading over to TireRack.com and ordered a set of Enkei RPF1 wheels with a set of Dunlop Direzza Z1 Star Spec tires. The Enkei RPF1 seems to be the wheel of choice for many S2000 owners, as are the Dunlop Direzza tires. The first thing I noticed about the Dunlop tires was how much quieter they were compared to the Bridgestone Potenza RE050 tires that come standard on the car. I was actually quite surprised at the road noise difference since the Dunlop Direzza Z1 Star Spec is rated as a higher performing and stickier tire than the Bridgestone tires. The trade-off though, was a 1 to 2 MPG hit due to the higher rolling resistance. You win some and you lose some, right? In October of that same year, I got to experience my first road trip in my S2000. My girlfriend's grad school classmate was getting married in Santa Barbara, and seeing as how the weather was still relatively nice, we drove up in my S2000. It was during this trip did I begin to realize that the S2000 was probably not the most ideal road trip car. Aside from the fact that the car is not particularly practical, which I already knew when I bought the car, it can get pretty uncomfortable on long drives. On short drives, the seats are actually relatively comfortable and very supportive, but on long drives, the stiffness of the seats can create some lower back pain. The S2000's hard suspension also made it very unpleasant to go over rough patches of the freeway, which certain parts of the Northbound 405 and 101 are littered with. By the time my girlfriend and I had reached Santa Barbara, we were both a bit sore from the drive. The trip back was far more pleasant as the Southbound 405 and 101 was oddly smoother. I decided to try the road trip thing one more time in my S2000 in May of 2012. My girlfriend and I had booked a bed and breakfast in the little seaside town of Cardiff by the Sea, CA, located within San Diego county. Considering that we would be driving in late spring beach weather, we decided to take my S2000 again. Luckily, the Southbound 405 and 5 freeways were actually quite smooth, but the stiff seats still left us a bit sore when we had arrived to the bed and breakfast. This has been my journey with my 2007 Honda S2000 thus far. Over the course of our long-term updates, I will share information about maintenance costs and gas mileage figures will include regular updates regarding trips and maintenance. Click here to read post #2.